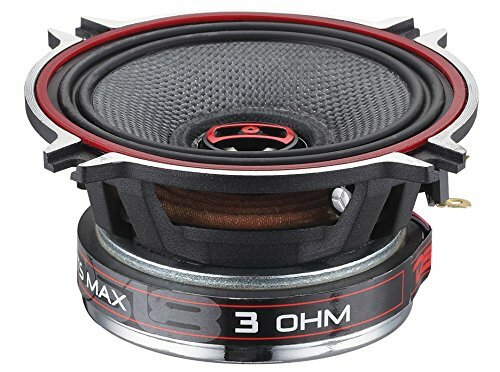 4" 2-Way Coaxial Speaker. Black Fiber Glass Cone with Rubber Edge. 1" (25.5mm) BASV Voice Coil, 0.83" PEI Dome Tweeter, and Neodymium Magnet. RMS Power: 60 Watts, Max Power: 260 Watts.